Watching holiday classics can be fun, but it’s occasionally exciting to try something new. 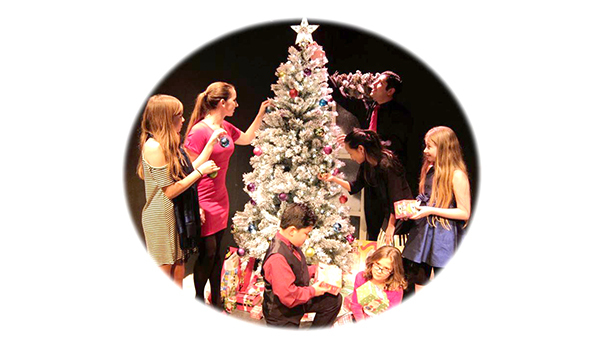 Lamplighters Community Theatre is helming a fresh celebration, “A Christmas Cabaret,” for December’s holiday festivities. The event is the first that director Shirley Johnston is staging at the La Mesa venue. Part of the reason that Johnston became interested in directing is because she has known producer Raylene J. Wall for years. “This was the first opportunity she extended to me to come out and work here,” she said. Ensemble members range across all ages, from younger kids to adults. Before she became involved with “A Christmas Cabaret,” Johnston collaborated with several of the stars in the Coronado Playhouse’s production of “Little Shop of Horrors,” (she directed and choreographed that interpretation) including Edgar Diaz-Guitierrez, Eva Playman, and Julia Van Skike. Johnston decided to use some of the stars from her previous show because she wanted to make sure that she worked with artists whom she respected. “I needed to call upon people whose talents I knew very well and could trust,” Johnston said. Following the auditions, Johnston had a good idea of the tunes that would be featured during group numbers. However, she is letting everyone pick their own solo numbers. One fairly new song that Johnston had never listened to was “Text Me Merry Christmas,” which was originally sung by a capella singing group Straight No Chaser, and Kristen Bell. “It’s fairly new and hilarious,” she said. A song that is going to be an emotional part of the night is “The Christmas Shoes.” Originally sung by the Christian group, NewSong, the hit melody will be performed by Diaz -Guitierrez. If you haven’t heard “The Christmas Shoes,” it’s about a man who buys a pair of shoes for a boy whose mom has terminal cancer. NewSong’s single was so popular that it was adapted into a novel and a CBS television movie starring Rob Lowe. There might still be a lot of rehearsal time before opening night, but Johnston has already given everyone involved some good advice. “She tells us to be consistent, because every audience member deserves the exact same show,” Diaz-Guitierrez said. 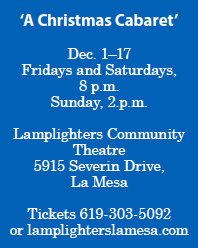 In getting with the seasonal spirit of giving, Lamplighters is once again partnering with the San Diego Theatre Connection. An ongoing goal for the organization is to promote local charities. For the upcoming event, Lamplighters will be a part of the San Diego Theatre Connection’s Big Brother Big Sister Show campaign. With a gifted cast and director, the showcase promises to be a fun way for La Mesa residents to enjoy a special season. If the production is a success, this could be the beginning of an exciting new tradition. 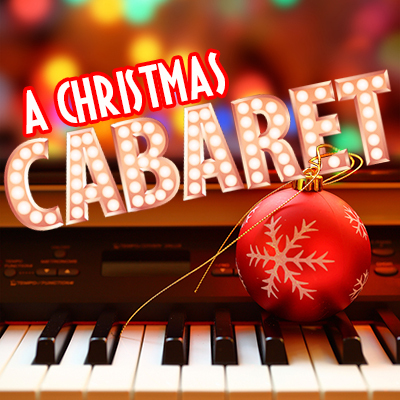 “A Christmas Cabaret” will be performed at Lamplighters Community Theatre Dec. 1–17. For tickets or more information, visit lamplighterslamesa.com or call 619-303-5092. — David Dixon is a freelance theater and film writer. Reach him at daviddixon0202@gmail.com.